For completing your registration, you have to provide all the necessary information in the registration form and pay the non-refundable registration fee and non-refundable presentation fee. The presentation fee is ONLY applied to those who want to have more than one presentation. Both the registration fee and presentation fee are NON-REFUNDABLE. The regular registration fee (deadline May 1, 2019): US$ 250 (NT$ 7,750). The late registration fee (May 2~ June 1, 2019): US$ 300 (NT$ 9,300). The very late registration fee (after June 1, 2019): US$ 350 (NT$ 10,850). The special rate for full-time graduate students (deadline May 1, 2019): US$ 200 (NT$ 6,200). There is no registration fee for scholars from Chung Yuan Christian University and a special registration rate of US$ 150 (NT$4,650, deadline May 1, 2019) for scholars with full-time position affiliated to any institutes in Taiwan (using the exchange rate of US$1=NT$31). Each registered participant can have only one presentation. However, for those participants who want to have more presentations, each additional presentation will be charged with a presentation fee, different from the registration fee, by US$ 150 (NT$ 4,650). The co-host, Alvin International Education Co. Ltd, authorized by the conference will issue an official receipt for the registration and presentation fees. There are two ways to pay the registration fee and presentation fee (ONLY for more than one presentation). If you use a credit card to pay the registration and presentation fees (for example, NT$ 7,750 and NT$ 4,650), you have to add an additional 5% (NT$ 620 ) of your registration and presentation fees for transaction cost of using a credit card (this is only for using credit card payment.). Therefore, the total amount in the credit card form should be NT$ 13,020. For the sake of tax matter, the total amount in the official invoice issued by the Alvin International Education Co. Ltd. will be NT$ 13,020. 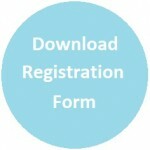 The credit card payment form is provided in the registration form. Please fill in all necessary information and sign it, then fax it with related materials to +886-2-22341726 or send them as pdf files to acesorgtw@gmail.com. We will inform you once we receive your credit card form. If you use remittance to pay the fees (must be in US$), you do not have to add the 5% as mentioned in the credit card payment, BUT you have to be responsible for the transaction cost on both sides of banks. If there is a difference between the amount of registration and presentation fees and the amount we actually receive from the bank, you have to pay the difference as you attend the conference. Please remit the payment to the Alvin International Education Co. Ltd. authorized by the conference. For the sake of tax matter, the total amount in the official invoice issued by the Alvin International Education Co. Ltd. will be the amount of registration and presentation fees ONLY (because we do not receive the transaction cost of remittance, but the banks do). Please send us the receipt of remittance to acesorgtw@gmail.com.